“I can talk to you for a few minutes”. “Toots” Hibbert sounds tired. His voice is a wheezy husk, a thousand miles down from the roar that has been evangelising at audiences all year from Jamaica to the USA to London – where he is speaking on the phone from a hotel somewhere in the west of the city. 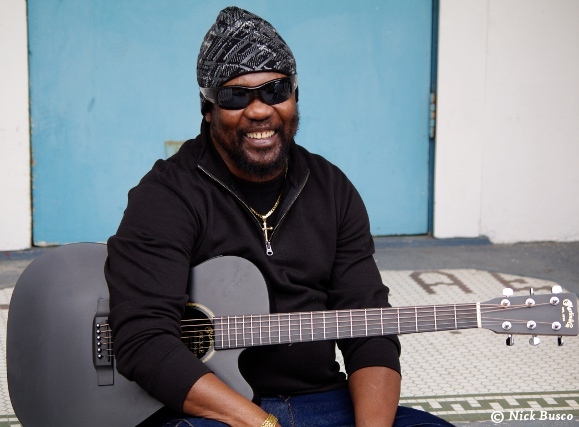 He’s been over to promote his latest release, his first ever acoustic album, ‘Unplugged On Strawberry Hill’, and had a night almost entirely devoted to himself at the hugely anticipated 13-date Respect Jamaica 50 independence celebrations at the Indigo2. But by the heavy sound of the 69 year old’s breathing down the line, the jubilations have taken their toll. Despite owning one of the most expressive timbres in popular music – as rich, strong and complex as a Hennessy and Guinness served with a dollop of ice cream – Toots is not a correspondingly expressive interviewee. When asked about the first time he picked up an acoustic “box” guitar in his home town of May Pen, Clarendon, he audibly shrugs “From the beginning”. Does he use the guitar to write his songs? “Generally, yeah”. He is not impatient or impolite. He simply won’t be drawn.